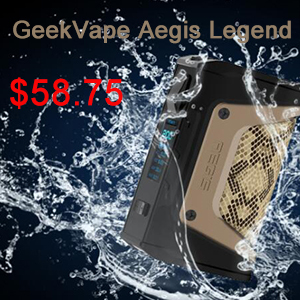 The Snowwolf Vfeng 230W box mod is a latest high power device. It features up to 230W of output, a unique robot-like design, a 1/3″ TFT screen, a changeable LED, utilizes two 18650 cells. 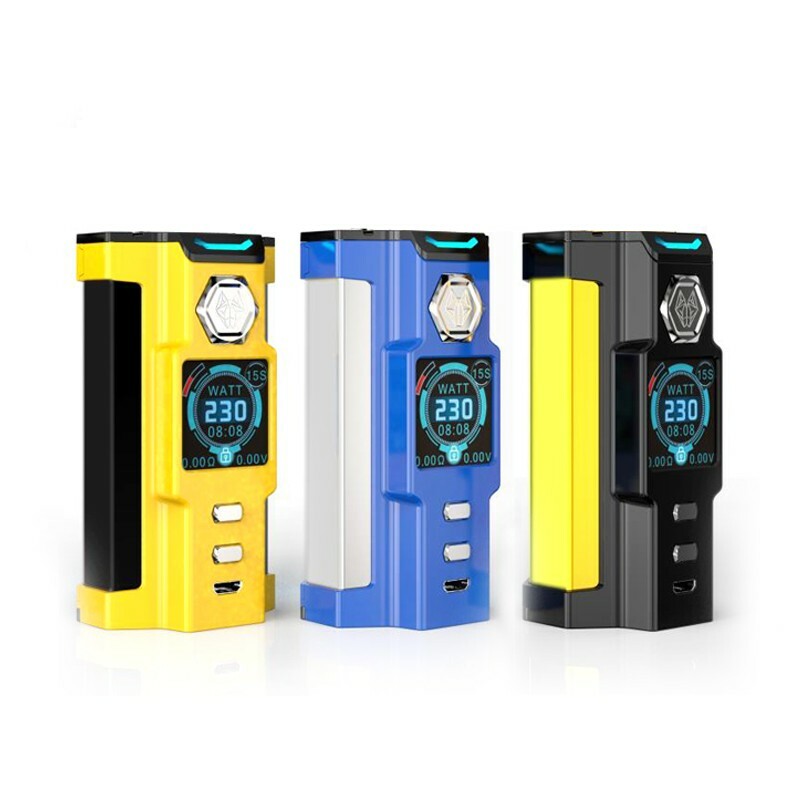 The Snowwolf Vfeng 230W box mod is available in black, yellow and blue. 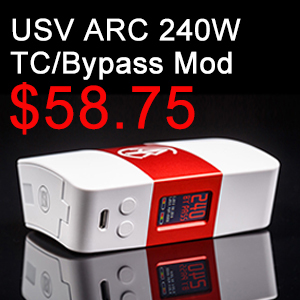 Although this mod is powerful, the measurements of 46mm x 34mm x 87mm still make it easily transported. 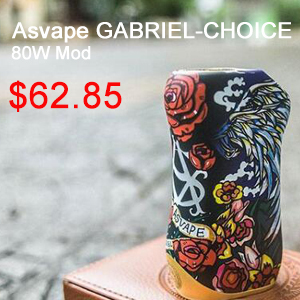 Materials used to construct this mod are zinc alloy/stainless steel. The elegant design looks amazing and is said to be robot-shaped. On the back, you will see a snowwolf logo that is built with an LED of which the colors are changeable to green, red, purple, blue, yellow or pink. You will also find a smaller LED at the top of the control face that matches whatever color you set. As a result, this mod is sure to turn heads in a dark environment. On the control face, there’s a large hexagon shaped fire button that features the same logo we’ve seen on other Snowwolf mods. The TFT screen underneath measures 1.3 inches and features a menu that includes puff counter, power/temperature, resistance and voltage. Out of the box, the menu’s font color is blue, but the color can be changed. Two 18650 cells power the SnowWolf Vfeng Box Mod and can be recharged by plugging the device into any wall outlet with the included cable. The Vfeng is a powerful mod that can put out up to 230 watts or can be used in temperature control mode with a wide range of coil types. 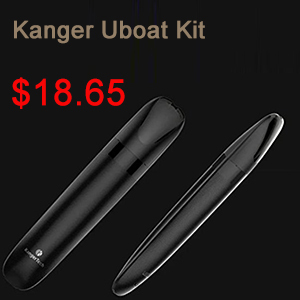 The device supports atomizers within the range of 0.1ohm to 3.0ohm. 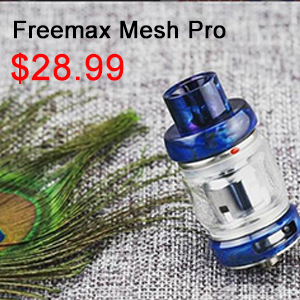 See more and get SnowWolf Vfeng 230W please go on Urvapin. 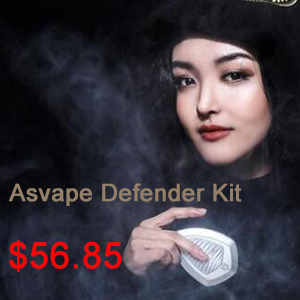 And SnowWolf Vfeng 230W Kit is also available. Any question or needs, please feel free to contact us, best service for you! Hotcig RSQ squonk mod – “great”, but give the price!